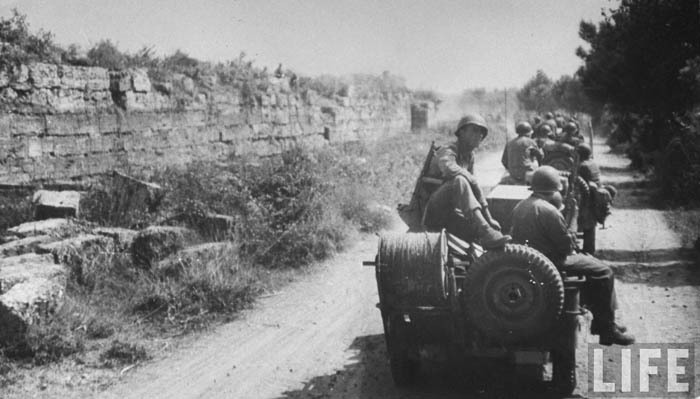 Learn about ‘Operation Avalanche’ and the Allied invasion of mainland Italy in 1943, one of the largest, and most significant, WWII landing operations, centered on the coastline in and around Salerno. The tour retraces the moments of the landing between Salerno and Paestum. See the landing beaches of Paestum and Salerno, the Allied cemetery, which contains 1,846 Commonwealth burials of the Second World War, the Tower of Paestum, a medieval watchtower that was once part of an unbroken chain of 111 towers along the Amalfi and Cilento Coast. Paestum was the landing location of the American 36th Texas Division and the Operations Command was situated in the archaeological zone, where a field hospital was set up by the Greek Temples. Visit a museum exhibition dedicated to the landing, with a multi-media space,three dimensional displays and a varied collection of images, music, videos, artifacts, military weapons, uniforms, relics of the Italian, British, American and German troops.